If I eat this whole pizza, I’m full for several hours. Breakfast sausage is great on it, as is bacon. This is a good, filling breakfast or lunch; well actually, it could be eaten for any meal of the day. 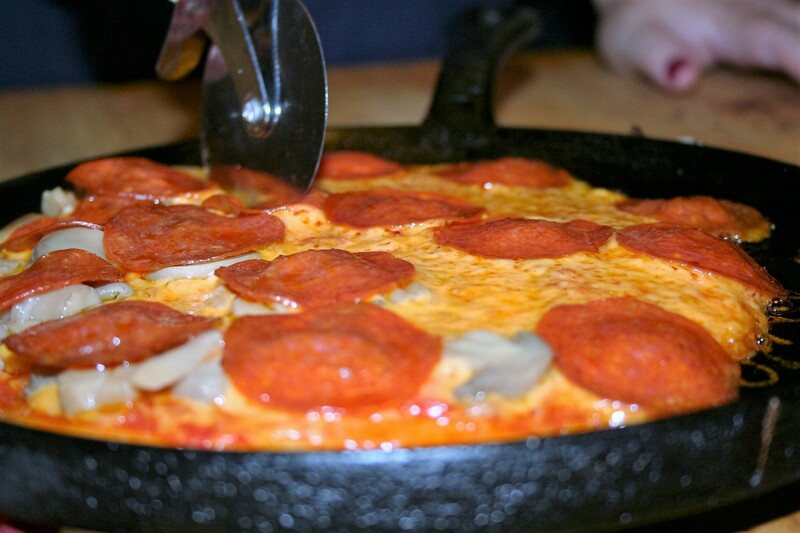 The toppings are completely up to you. 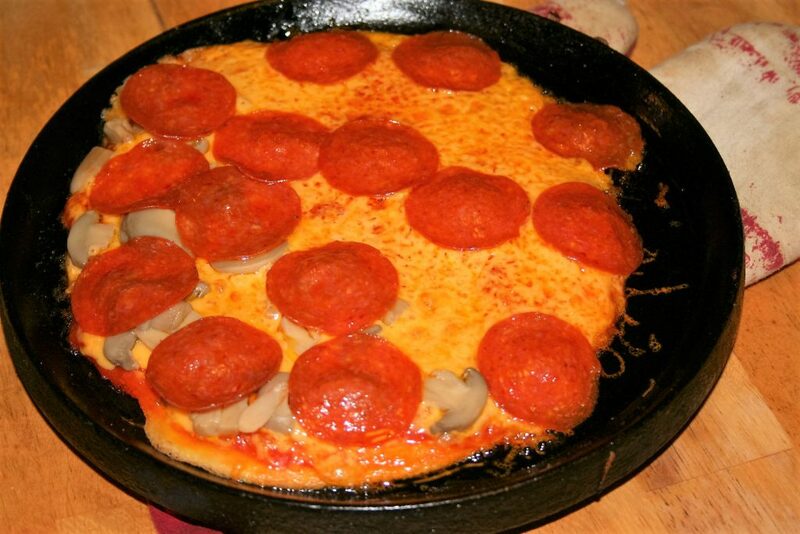 On this one, I put pepperoni on all of it and canned mushrooms on half of it. It is a very simple recipe. I recommend that you get your toppings ready before you start to cook the “crust” so that you don’t overcook it. 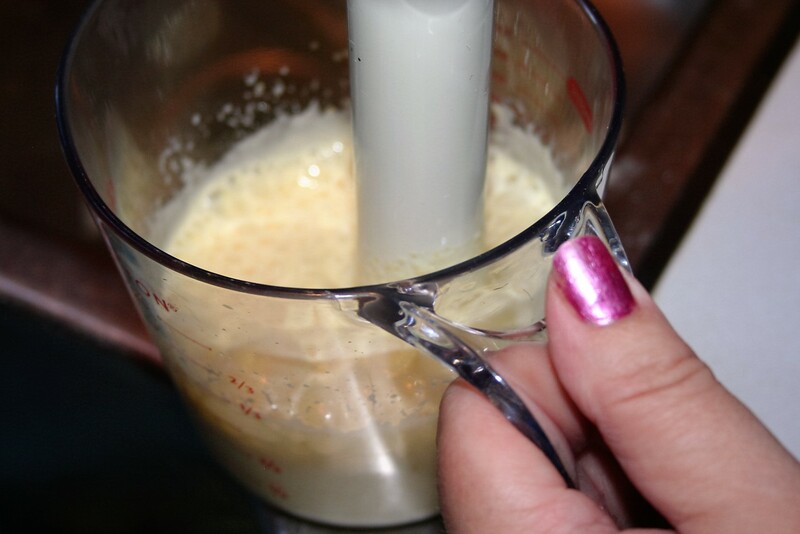 Beat two eggs until frothy. 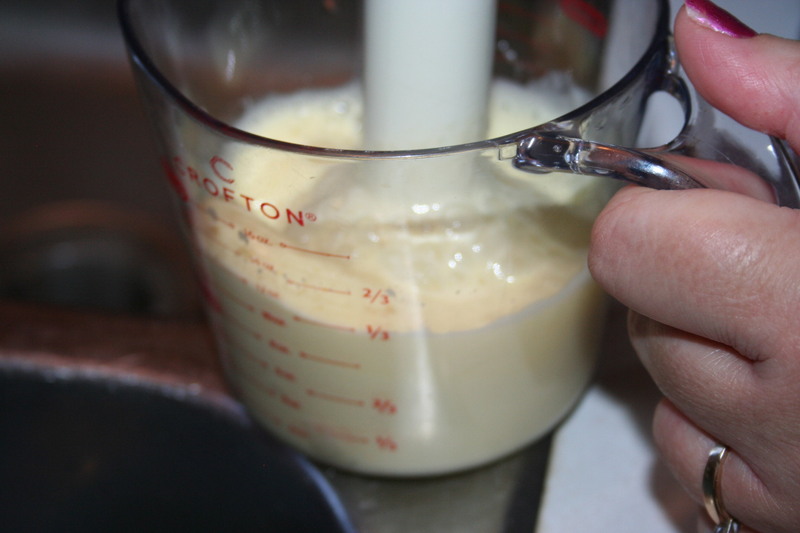 I like to use my immersion blender and it is done extremely quickly. 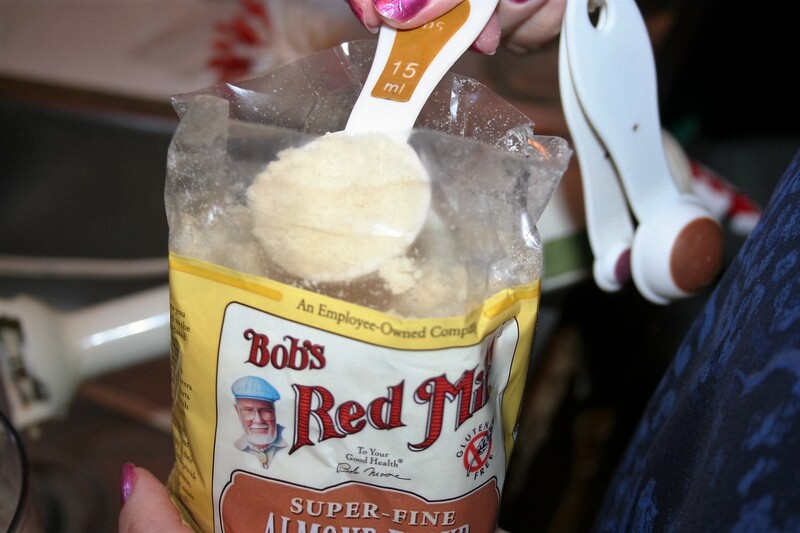 Add 1 tablespoon almond flour and 1/4 teaspoon salt (or to taste). 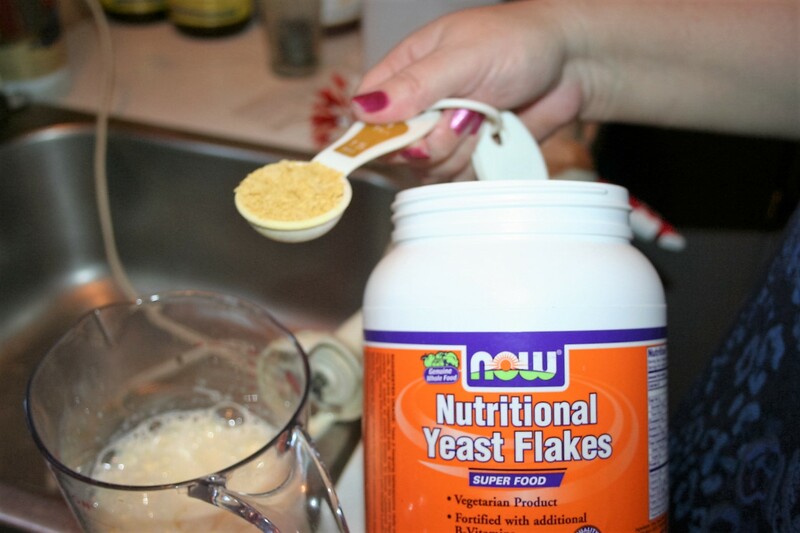 And one tablespoon nutritional yeast or grated Parmesan cheese. I used the nutritional yeast. We cannot tell it is even in there. 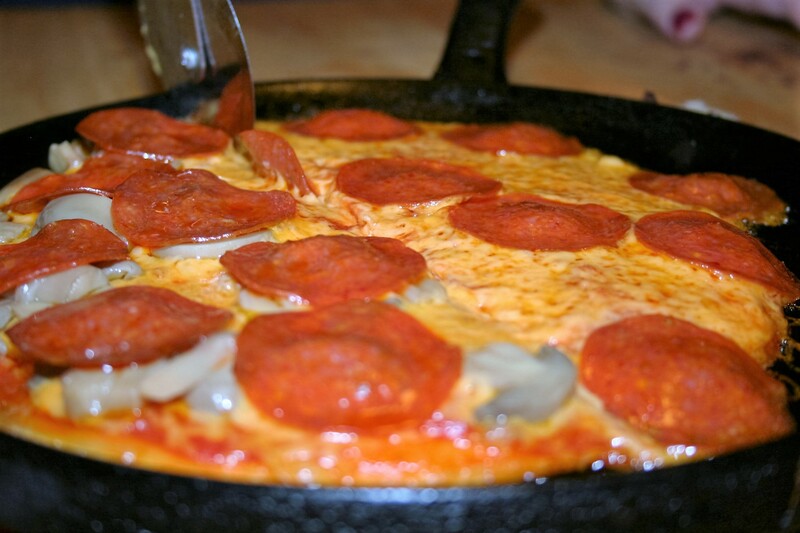 Supposedly, it adds a cheesy flavor but is very good for you. 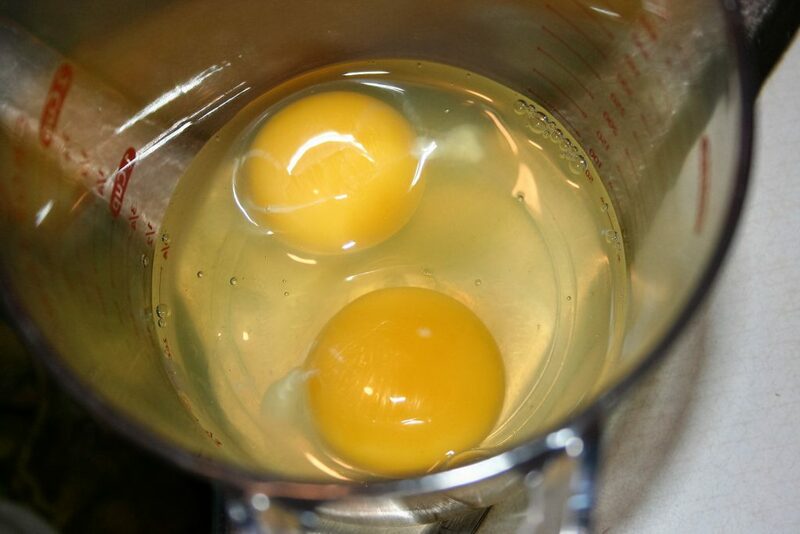 Heat a medium size skillet, one that can go under the broiler. 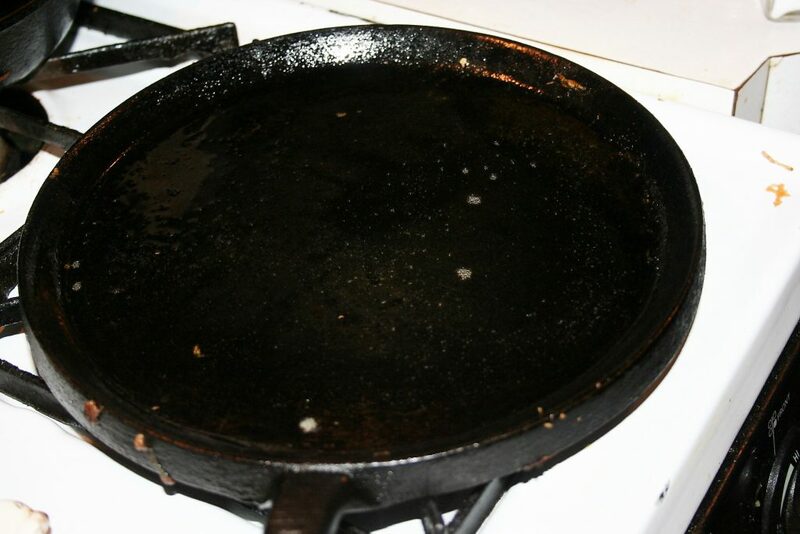 I use my cast iron skillet. I actually used my fajita pan today. 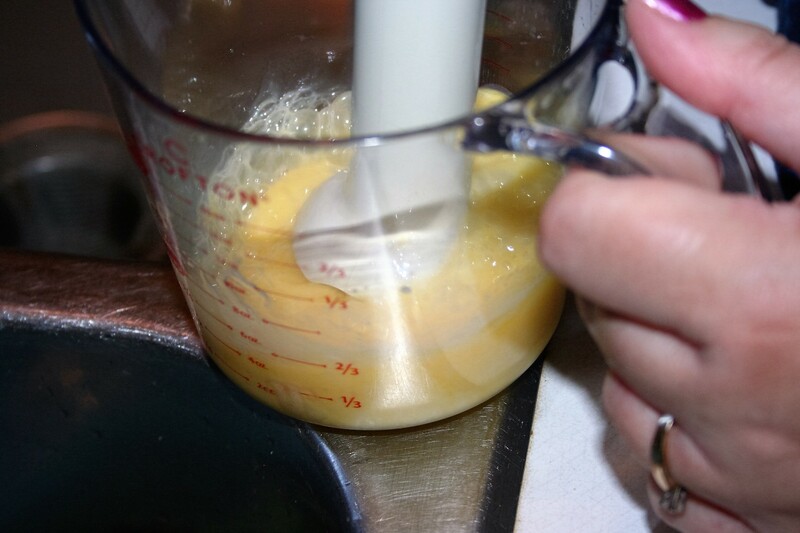 Heat with your choice of oil, butter, or spray oil (like Pam). Add egg mixture. Cook until nearly dry on top and flip. 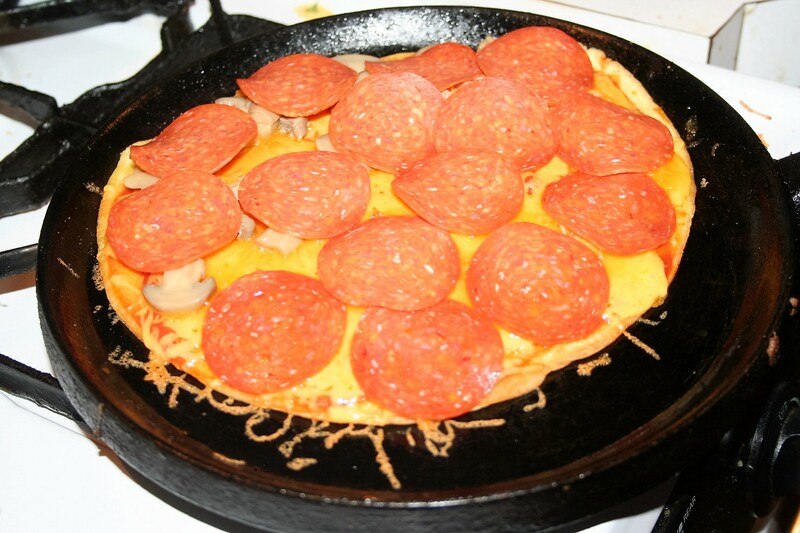 At this point, I turn off the heat and add the toppings. 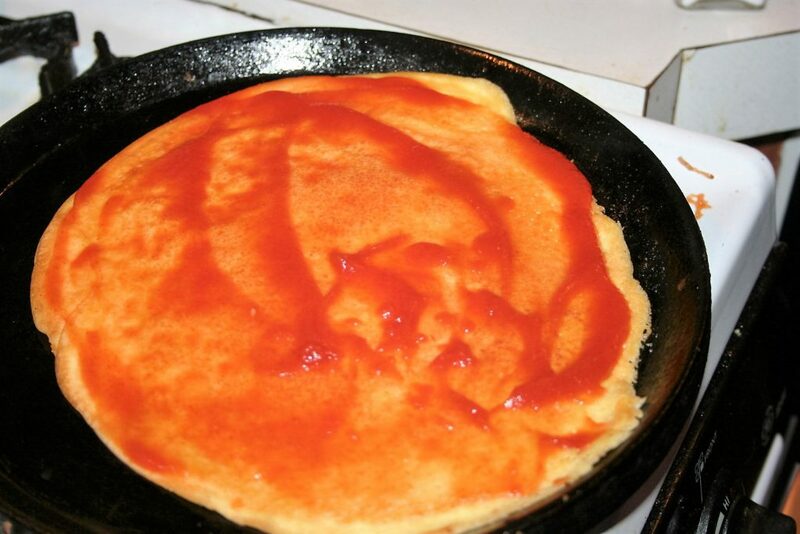 Today I just used a plain canned tomato sauce. 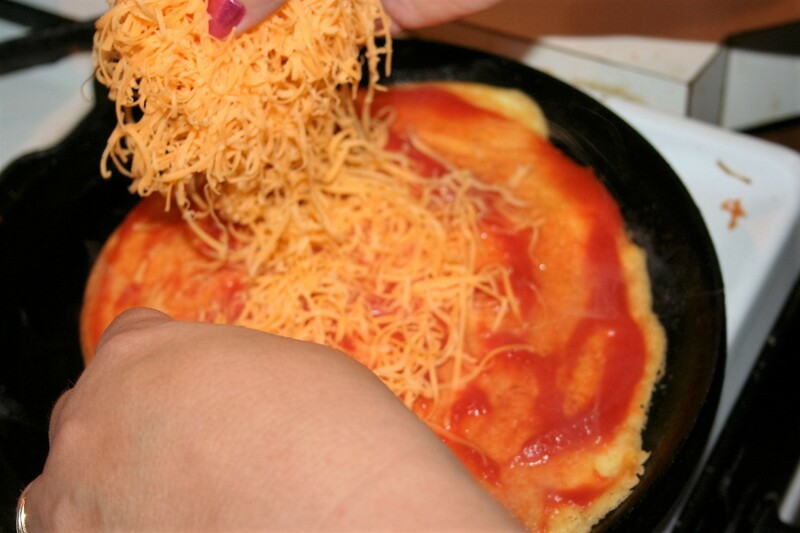 Add about 1/3 cup of shredded cheese of your choosing. I used mild cheddar. I shredded it very fine, so there seems to be a bit more than 1/3 cup. I add the toppings on top of the cheese so that they get heated under the broiler before the cheese gets too done. 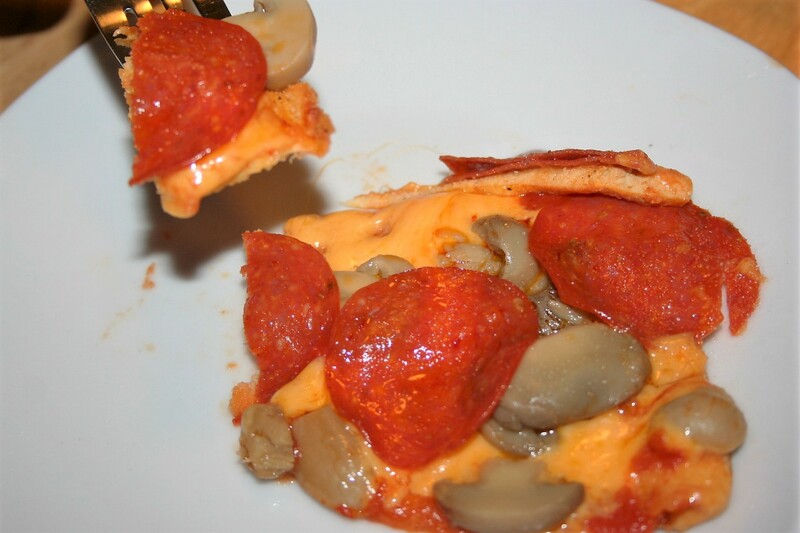 Today I used pepperoni and some canned mushrooms. Use whatever you like. You could use sausage and bacon or ham. Really, use whatever you like. Although if you are considering veggies, I recommend sauteing them first, unless you want them nearly raw. 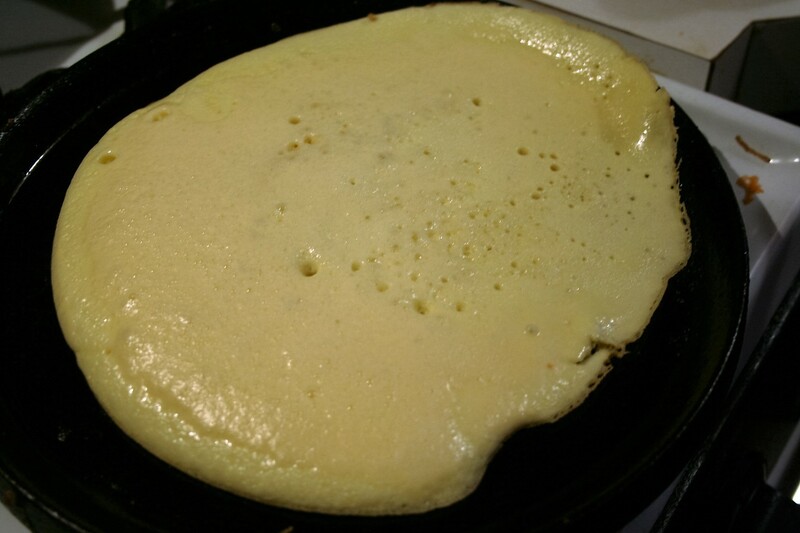 Put it under the broiler until the cheese is melted and bubbly. If you eat the whole thing, it will keep you full for hours. If you share it with someone, you’ll be ready when lunch time rolls around. 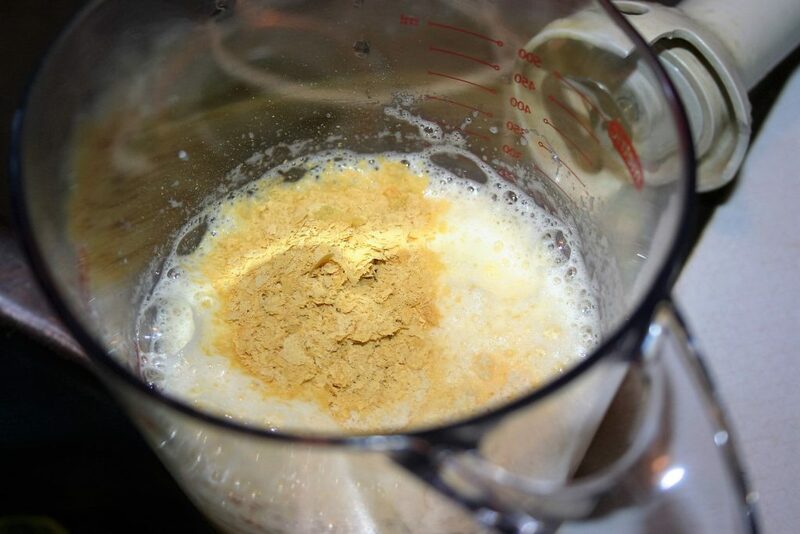 Add almond flour and nutritional yeast or Parmesan cheese and salt. Add oil to oven safe skillet over medium high heat. 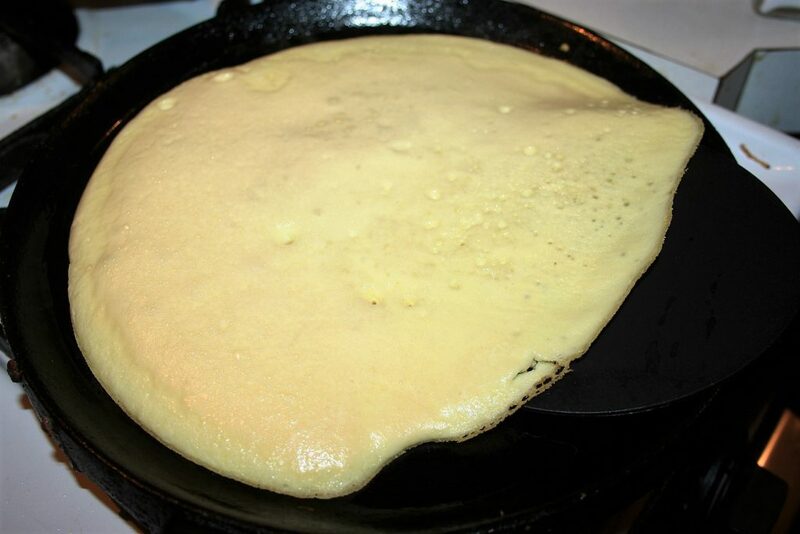 When the top is nearly dry, flip and turn off heat. 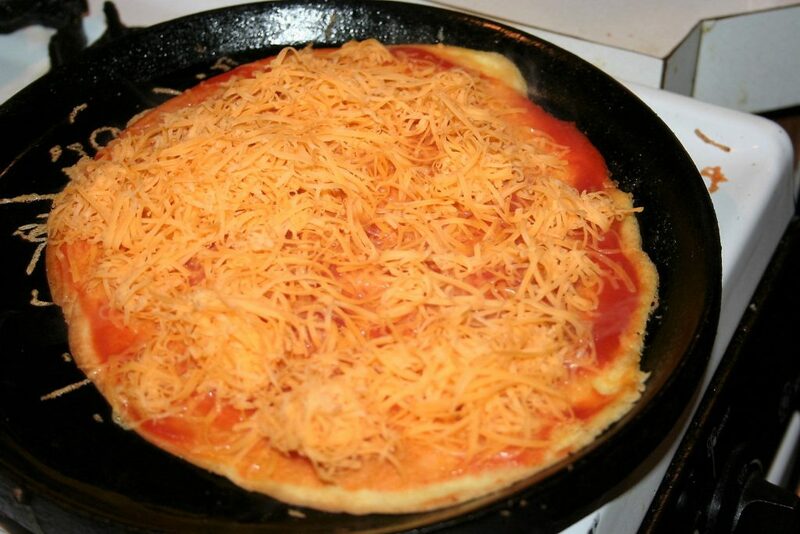 Place under broiler until cheese is melted and toppings are heated through. Oh, I almost forgot! I give credit where credit is due. I got this from GinnysLowCarbKitchen.blogspot.com and adapted it to suit our tastes.